Mancall, Peter C. (ed) LAND OF RIVERS: America in Word and Image. NEW copy, hardcover in dust jacket. (Cornell University Press, 1996). 224 pages. 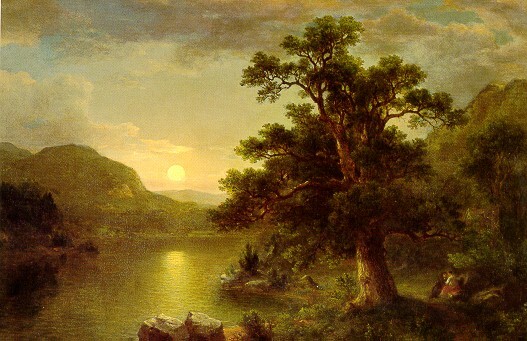 ~~~ Rivers run deeply through the American consciousness. Indians speculated about their origins in myths and legends. Settlers and adventurers exulted in their promise. Poets, artists, and songwriters paid tribute to their beauty. Engineers exploited their potential and conservationists pleaded for their protection. The diversity of waterways, the range of their idiosyncracies, and the variety of responses they have inspired evokes the richness and complexity of the North American continent. For everyone who has listened to a river's song or floated along its surface or played on its banks, here is a book of images and voices which does justice to the beauty and diversity of rivers. The selections range from Samuel Sewall's mournful praise of the River Merrymak to John Wesley Powell's triumphant narrative on exploring the Colorado River, from Walt Whitman's ode on crossing Brooklyn Ferry to Oscar Hammerstein's melodic tribute to Ol' Man River. More than fifty descriptions, meditations, and songs, each with a brief introductory note, are balanced by sixty illustrations, from the elegant landscape paintings of Albert Bierstadt and Frederick Church to the haunting photographs of Ansel Adams. 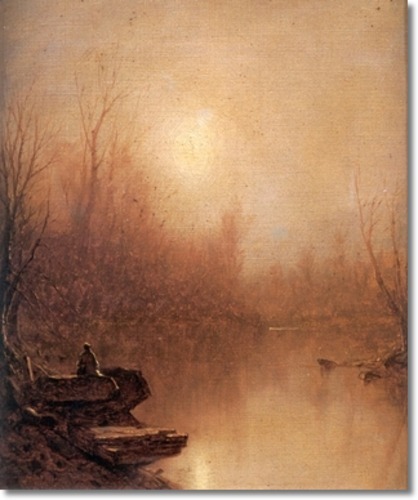 This book captures the beauty and diversity of America's rivers with sixty illustrations and more than fifty descriptions, meditations, and songs, each with an introductory note. The writers range from Edgar Allen Poe to Mark Twain, from Walt Whitman to Annie Dillard; the artists, from Thomas Eakins to Ansel Adams. 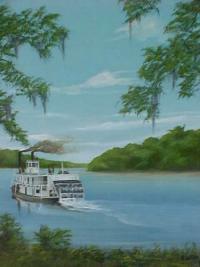 Willoughby, Lynn, FAIR TO MIDDLIN': The Antebellum Cotton Trade of the Apalachicola/Chattahoochee River Valley. Near fine / no jacket. (Tuscaloosa: University of Alabama Press, 1993). Green boards; illustrations. 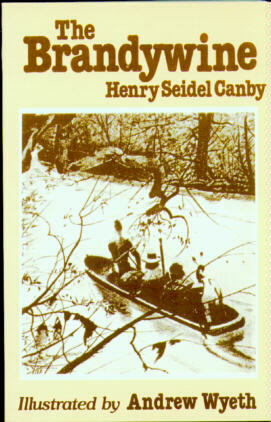 [Brandywine River] Canby, Henry Seidel, THE BRANDYWINE. Illustrated by Andrew Wyeth. As new trade paperback. Schiffer Publishing Ltd., West Chester, Pennsylvania, 1969. Originally published in 1941, No. 13 in the Rivers of America series. Bibliography, index, 285 pages. 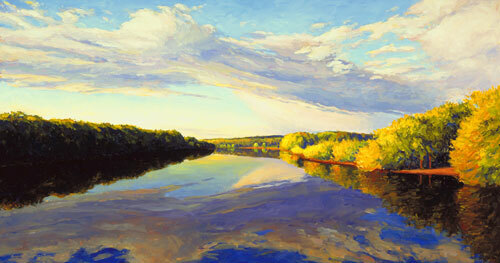 "The Brandywine River winds from Southeastern Pennsylvania into Delaware along a rolling, agricultural plane. Henry Seidel Canby was born along its banks into a family that has lived in the region for generations. 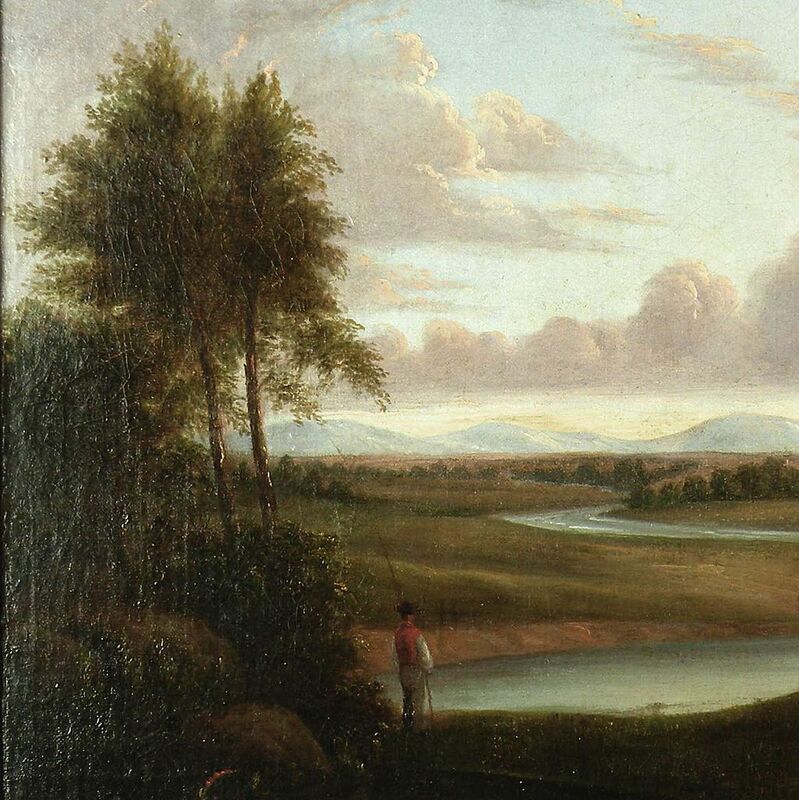 His personal affection for the river is woven into this charming history of events that make the Brandywine one of America's most important small rivers. 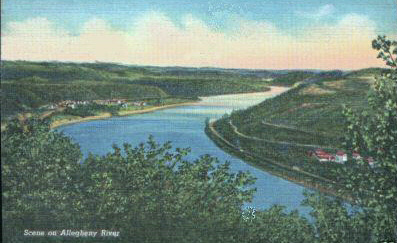 He explains how the Swedes built the first log cabins in America at the mouth of the Brandywine, why William Penn's Quakers later came here, that prairie schooners were built to haul grain to local flour mills, and how the duPont family started a chemical empire in these narrow gorges. The Battle of the Brandywine was a major confrontation in America's war for independence. Andrew Wyeth's illustrations capture the main events in the beautiful landscapes the artist knows personally, for he, too, has lived on those banks all his life. Done early in Mr Wyeth's career, these pictures exhibit the personal style of drawing that has developed and make him one of America's best known living artists." de Kadt, Maarten. 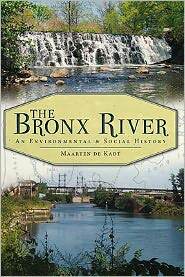 THE BRONX RIVER: An Environmental & Social History. NEW copy, trade paperback. (Charleston: The History Press, 2011). 6x9. Over 55 images. 160 pages. 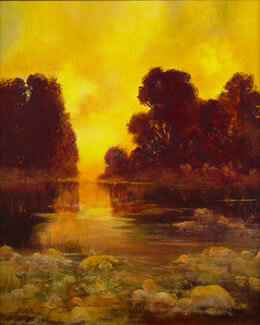 ~~~ The Bronx River flows twenty-three miles from its source in Valhalla to its mouth, the East River in the Bronx. This waterway was used for centuries by Native American tribes for drinking, food and transportation, and they called it �Aquehung��a fast stream flowing along a high bluff. After the arrival of Europeans, though, the Bronx River suffered as industry prospered; it powered mills and, unfortunately, became a dumping ground for all kinds of waste. Its appearance and ecosystem were forever changed. Today, community members are again attempting to alter the river, but this time for the better, by helping it recover. Discover the fascinating history of this small waterway and the ways it influenced and was affected by the people around it. 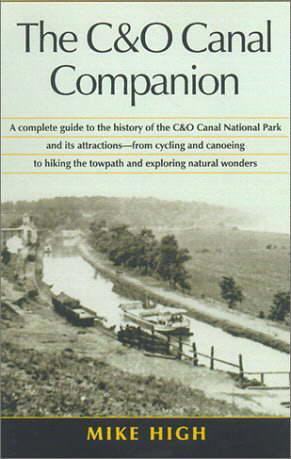 [C & O Canal] High, Mike, THE C AND O CANAL COMPANION. Baltimore: 1997, 4th printing, Johns Hopkins University Press. 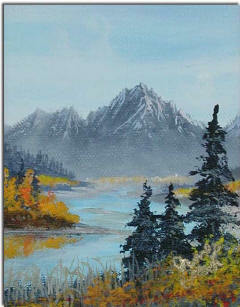 As new, trade paperback; illustrations $14.50.
.	Abbey, Edward, et al, THE HIDDEN CANYON: A River Journey. SF: 1999, 1st edition, Chronicle. VG- (ink mark to edge), large trade paperback; illustrations $17.50. Sports Afield: "Although millions of people visit Arizona's Grand Canyon each year, few experience the fear and thrill of rafting a dory for the 277 miles of the Colorado river that both meanders and roars beneath. Blausten documents such a journey with his stunning photographs of rocks, whitewater and wildlife; an 18-day journal from Edward Abbey; and an introduction from Martin Litton." 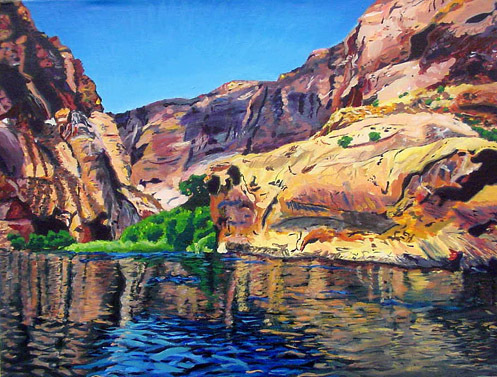 Callahan, Gerald N., RIVER ODYSSEY: The Story of the Colorado Plateau. As new in as new dust jacket. (University Press of Colorado, 1998). Illustrations. ~~~ Book News: "The author presents poems, essays, and personal photographs--mementos from seven life-altering years of hiking the Colorado Plateau. Alternating from reminiscences of his father and raising children, to tales of tree frogs and unforgiving canyons, his story winds from Lake Powell and the San Rafael Swell through the Grand Canyon, Green River, Moab, and Mexico. No index." Waters, Frank, THE COLORADO. Like new. Trade paperback. (Athens, OH: Swallow/Ohio University Press). Carriker, Robert C. & William L. Lang (eds), GREAT RIVER OF THE WEST. NEW copy, trade PAPERBACK, 9x6. 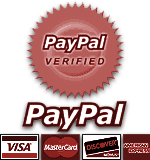 (Weyerhaeuser Environmental Books). 181 pages. 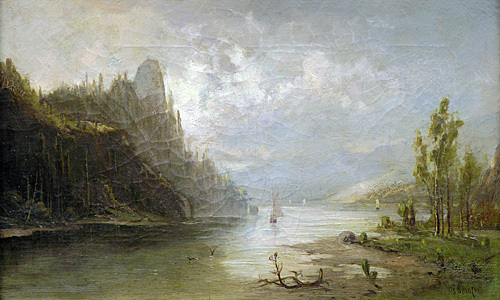 ~~~ "In the Pacific Northwest, the river of dominance is the Columbia, and in ways both profound and mundane its history is the history of the region. 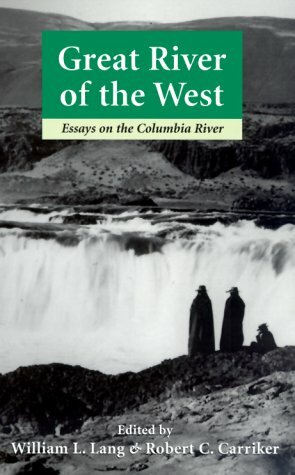 In Great River of the West historians and anthropologists consider a range of topics about the river, from Indian rock art, Chinook Jargon, and ethnobotany on the Columbia to literary and family history, the creation of an engineered river, and the inherent mythic power of place. 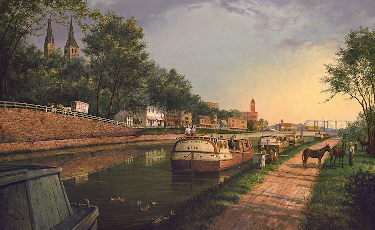 Since first contact between Euro-Americans and Native peoples during the late 18th century, the river's history has been characterized by dramatic demographic, social, and economic changes. The remarkable set of essays in Great River of the West investigate these changes by highlighting important episodes in the history of the river. Readers meet mariners who challenge the Columbia River bar, a family torn by insanity, Native people who preserve fishing traditions, and dam-builders who radically change the Columbia." 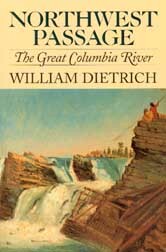 Dietrich, William, NORTHWEST PASSAGE: The Great Columbia River. 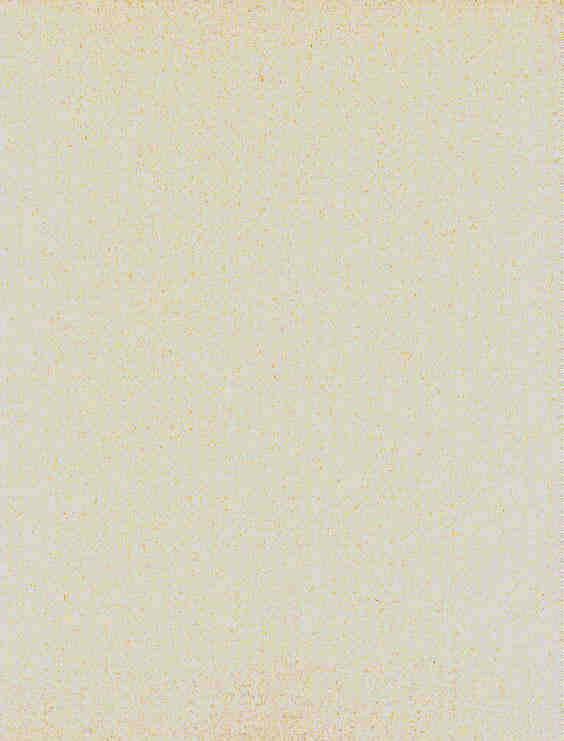 NY: 1995, VG-(faint ink mark to edge) in VG dust jacket. (NY: Simon and Schuster) . 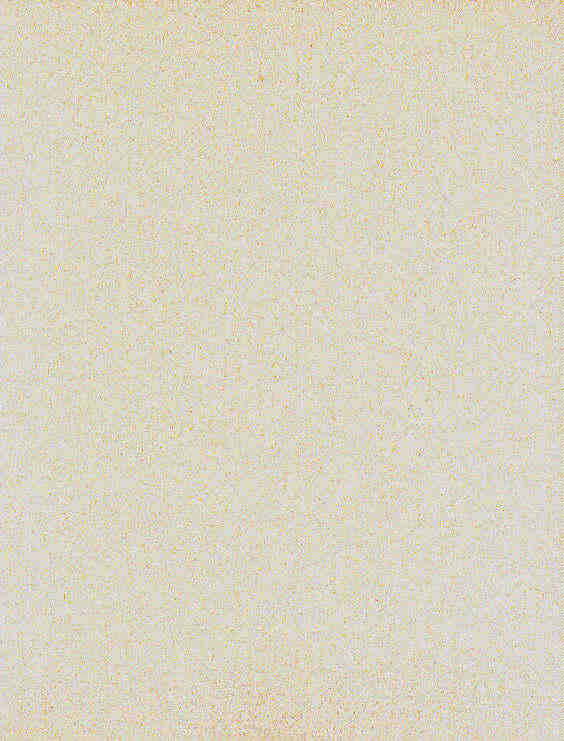 Brown boards; illustrations. ~~~ "Dietrich's measured, thoughtful book views the Columbia through a succession of different lenses - as a bountiful fishery for the Indians, as a snag-ridden and nearly impassable highway for the early white explorers, as a hugely powerful manufacturer of hydroelectricity, as a source of irrigation for farmers, as the town drain for the mining and nuclear weapons industries. 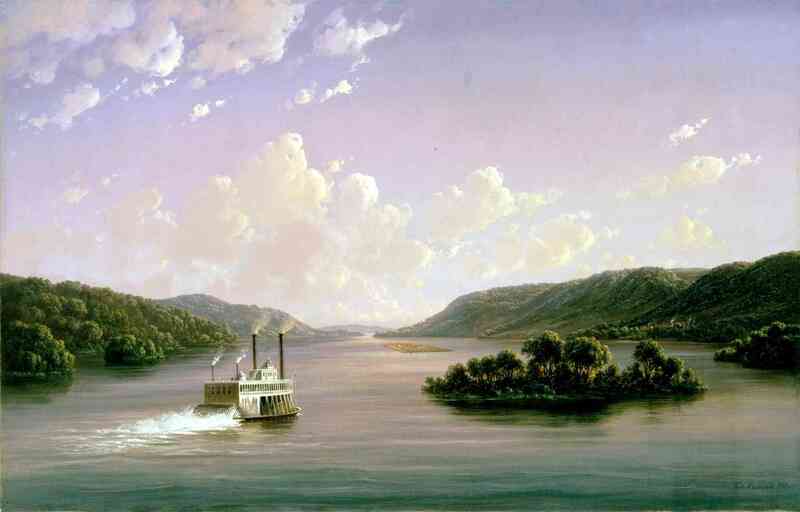 His Columbia is really a woven braid of the many rivers of the fisherman, the farmer, the engineer, the towboat operator, the explorer, the industrialist." -Jonathan Raban, author of Old Glory. 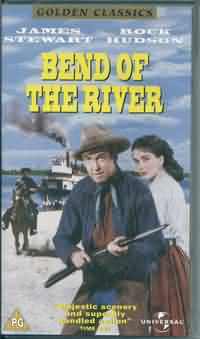 Mann, Anthony, BEND OF THE RIVER. Hollywood: 1996(1952), MCA. VG in VG-( a few minor staple holes)slipcase Vhs video with James Stewart. 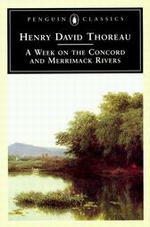 Thoreau, Henry David, (introduction & notes by H. Daniel Peck), A WEEK ON THE CONCORD AND MERRIMACK RIVERS. NEW copy. TRADE PAPERBACK. Penguin Classics. Introduction, suggestions for further reading, map, notes, 335 pages.
.	Anne H. Ehrlich, Paul R. Erlich & Riki Ott, ALASKA'S COPPER RIVER DELTA. 8x10. NEW copy. PAPERBACK. (University of Washington Press). 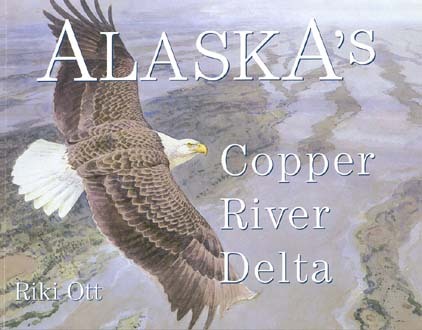 ~~~ "Alaska's Copper River Delta visits the largest wetland on the Pacific coast of North America - with its associated rain forest, barrier islands, mountains, and glaciers, and its wildlife and human inhabitants -- and reveals the Delta through the work of 22 artists from 11 countries. Invited by local residents and the Netherlands-based Artists for Nature Foundation, artists came to the Delta to see spawning runs of Copper River salmon and the world's greatest shorebird migration. They stayed in the seaport of Cordova, working closely with residents to portray their daily lives on fishing boats and in processing plants, and visited a Chugach-Aleut spirit camp to appreciate the community's spiritual strengths. 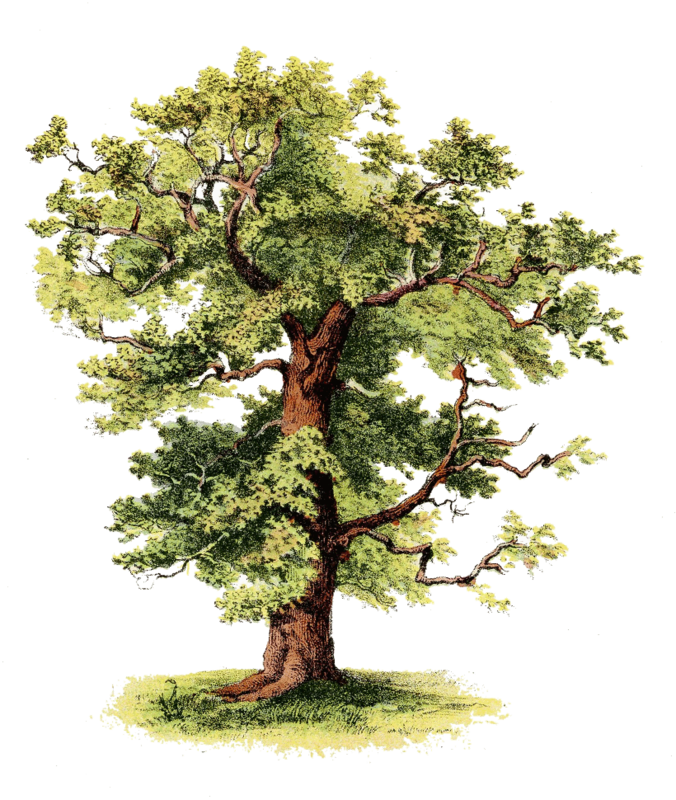 Together, artists and residents seek to both celebrate and protect the area's magnificent natural resources and cultural diversity, while helping to build a healthy future for all inhabitants." 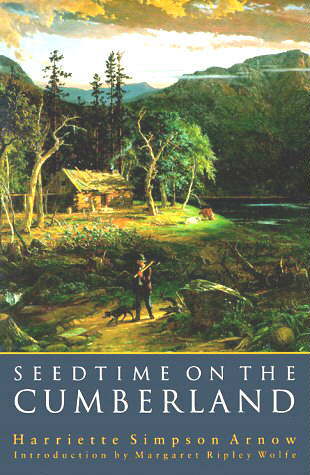 Arnow, Harriette Simpson, SEEDTIME ON THE CUMBERLAND. VG/VG. Jacket has some creasing to extremities & is price-clipped. Protected by mylar. Macmillan Company, 1960, First Edition. Maps (including end-pages, page-end notes, index, 449 pages. 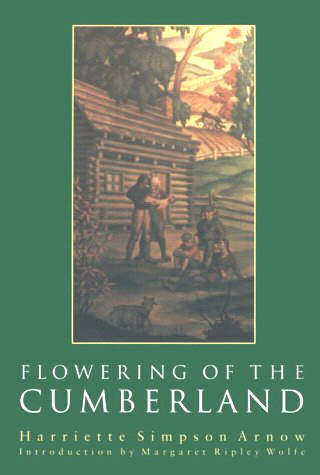 "The Cumberland River basin is a 'curious shoe-like shape, something like an old-time buskin, badly worn and wrinkled, with a gob of mud caught in the instep blurring the heel...' This new book by Harriette Siompson Arnow is chiefly the story of the first white settlers who came to the Bluegrass and limestone valleys of that buskin, which embraces much of southern Kentucky, and most of middle Tennessee, centering on Nashville. The life of 1780-1803 has never been drawn in such detail..." Contains a chapter on the Cumberland River itself, and its early exploration. 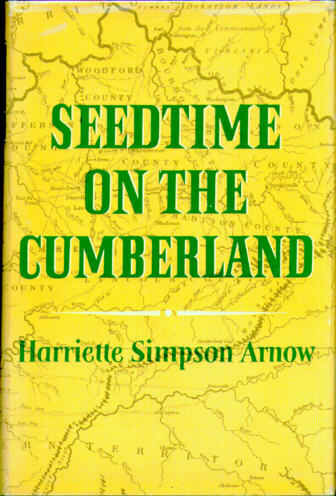 Arnow, Harriette Simpson, SEEDTIME ON THE CUMBERLAND. NEW copy, trade paperback. 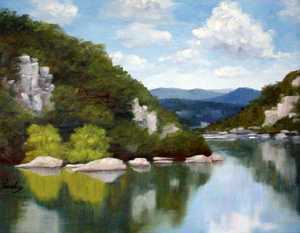 Arnow, Harriette Simpson, FLOWERING OF THE CUMBERLAND. NEW copy, trade paperback.